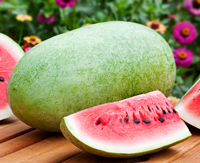 Watermelon Varieties - Common Types and Their Tastes - What About Watermelon? A Watermelon is a Watermelon, Right? 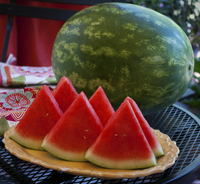 Did you know that there are hundreds of different watermelon varieties enjoyed daily. When picking a watermelon from your local fruit and vegetable market the only decision you will need to make is the size. 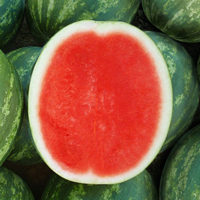 Many small markets only offer one type of watermelon. 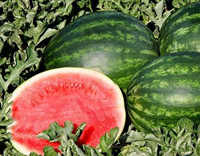 This has led us to believe that there is only one type although just like apples, watermelons come in a number of varieties. 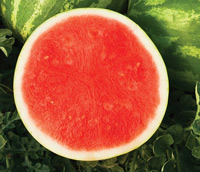 Globally 200 to 300 different varieties of watermelon are accounted for although only 50 of these are enjoyed regularly. Of the 300 varieties it is no surprise that the most loved are on the sweeter side of the scale. 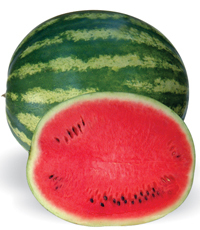 Used to describe a basic watermelon that is round or oblong and weighs between 15 t0 45 pounds. 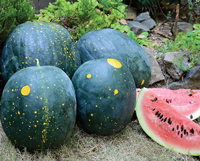 These watermelons contains noticeable black seeds. 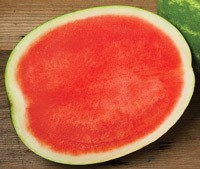 Hybrid watermelons that are the most popular due to their seedless nature. These watermelons are generally around the 15 pound mark. 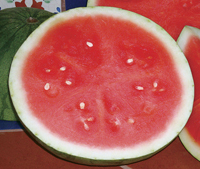 Seedless watermelons often have small and easily edible white seeds. 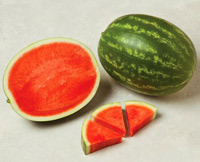 The smaller variety of watermelons that has a thin rind. 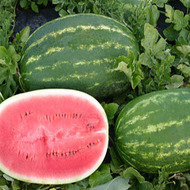 Watermelon varieties such as the Sugar Baby and the Tiger Baby fall under this category. 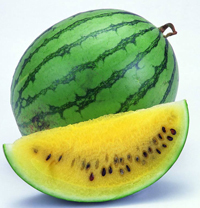 Varieties of watermelon that lack lycopene often fall under the orange or yellow watermelon category. 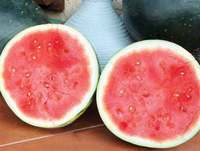 Below you can read about a number of different watermelon varieties along with their taste, texture and appearance. If you are a keen gardener with a green thumb, why not buy some seeds online and grow them in your very own backyard! Sweet flesh with a high sugar content. 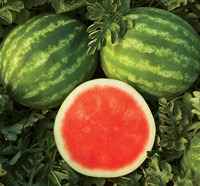 This watermelon is one of the most popular within the species. Red fleshed with dark and light green stripped skin. Firm flesh with Crimson Sweet flavor. Firm fleshed and sweet watermelon. Firm flesh that is sweet in flavor. Pink flesh with dark green rind that features some yellow dotting. Firm flesh that has an excellent flavor. Very sweet watermelon with finely textured flesh. Firm and crisp flesh that is sweet in flavor. Bright red flesh / Light green skin with medium green stripes. Sweet flavor similar to the Crimson Sweet watermelon variety. 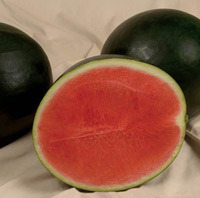 Uniform oblong shaped watermelon / These melons weigh between 10 and 15 pounds. 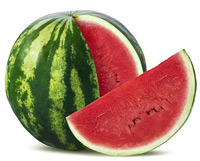 Round / These watermelons weigh between 8 and 10 pounds on average. 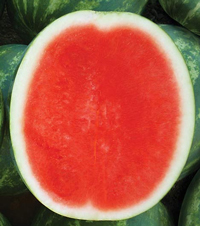 Bright red flesh with green on green stripped, smooth skin. Round and uniform. 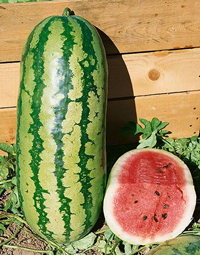 These watermelons weigh between 5 and 8 pounds on average. Yellow, juicy and sweet flesh. 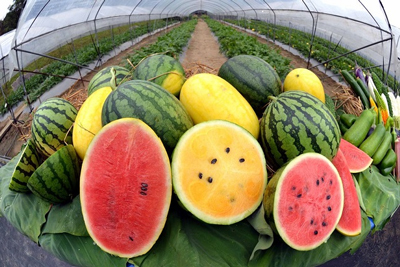 These watermelons are often used in gourmet fruit trays. 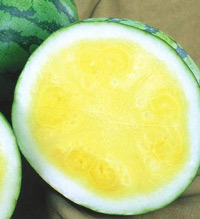 Yellow flesh with dark and light green stripes on the skin. Always enjoy the seeded varieties over the seedless watermelons anytime I can get them, but it seems I can never fine them anywhere around where I live. All they sell around here are the seedless and the personal varieties. I sure miss going in the grocery store and the first thing I’d see were the biggest, sweetest jubilees and Charleston Grays in the produce department. All you see now days are those little rounds seedless “things” they call watermelons. Once in a while you might fine a big, juicy All sweet melon, but that was few and far between. I use to be able and go to the store in the middle of winter and be able to purchase a jubilee that weighed about 30/35 Lbs. and when I got it home and cut it open it was the sweetest, meatiest, watermelon you could ever enjoy !!! Oh wow I never knew there were so many different variations of watermelon. Thanks for the info!